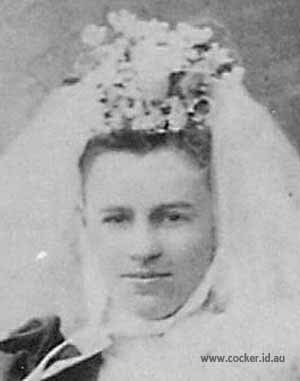 Jane Evangeline Cocker was born on 22 Oct 1870 in Westbury, Tasmania, was christened on 26 Mar 1871 in Mersey Circuit, Latrobe, and died from pneumonia on 14 Mar 1898 at age 27. Jane was usually known as Eva. 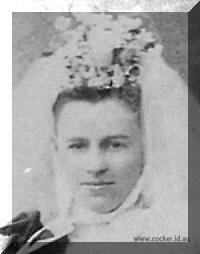 Less than two years of age when her father died and not quite four when mother died, Jane was raised by her brother John and his wife Rebecca at Lower Barrington. Jane married George Morse Day, son of Henry Day and Mary Anne Morse, on 26 Jun 1892 in Home of John Cocker, Barrington, Tasmania. George was born on 30 Apr 1859 in Deloraine, Tasmania and died on 24 Dec 1939 at age 80. They are both buried together at the Sheffield general cemetery. See George's obituary below. In heaven with love and raptures glow Rejoice my soul is there." 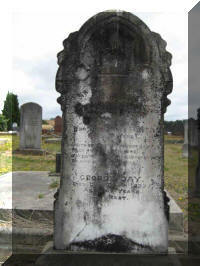 who departed this life 14th March, 1898. To her a heavenly gain. Inserted by her loving brother and sister, J. and R. Cocker. Mr George Day, an old and much respected pioneer of the Kentish district, died at his residence, Kentish on Sunday morning. 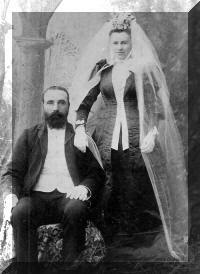 Born at Deloraine 80 years ago, the late Mr Day when a lad came to Kentish with his parents Mr & Mrs Henry Day. With the exception of a short period, in the employ of Captain W. Jones of Burnie, he had resided in Kentish ever since. Mr Day was a large landowner. In addition to land at Kentish, he selected at Staverton and Lorinna, and by energy & perseverance, converted virgin forest into cultivated fields. He was interested in mining & prospecting. He took no great interest in public affairs but was always ready to assist a worthy cause. He was a prominent draughts player, being a leading member of the Kentish Club. 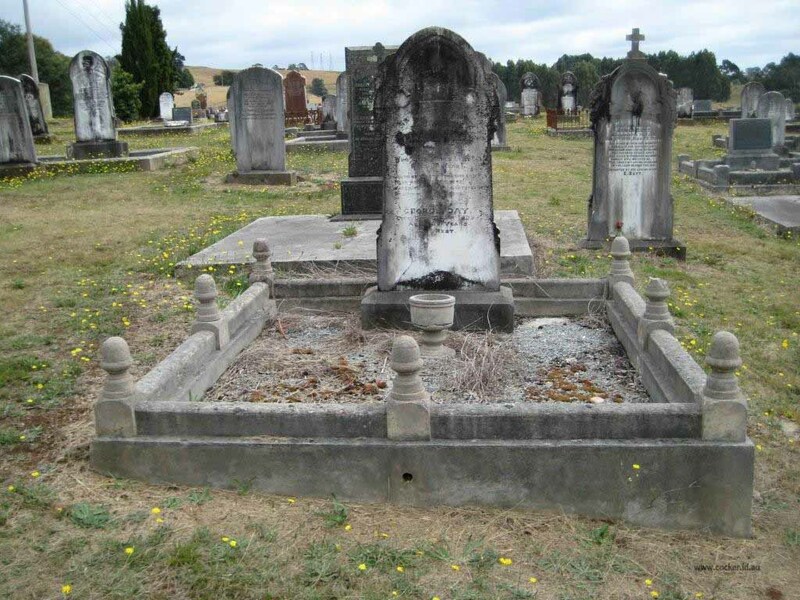 Mr Day was twice married & leaves a widow Mary [nee Carey whom he married in 1929] and daughter, Mrs Jake Collins (Ulverstone) two sons predeceased him. 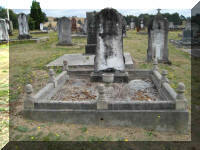 They were Albert who died in the Great War and Benjamin who died recently at Ulverstone. The funeral took place on Monday, when a large and representative cortege assembled at the Sheffield cemetery. The chief mourners were Henry and Charles Day (brothers) and Messers R Duff and R Braid (brothers in law) The carriers were six nephews Messers J Duff, C Braid, M Day, H Braid, C Duff and J Mawley. The pall bearers were Messers A Charleston, A Moore, R Braid, R Duff, A Hope, and W Braid. Funeral services were conducted at the residence & graveside by Rev. Belot assisted by K Dyer.